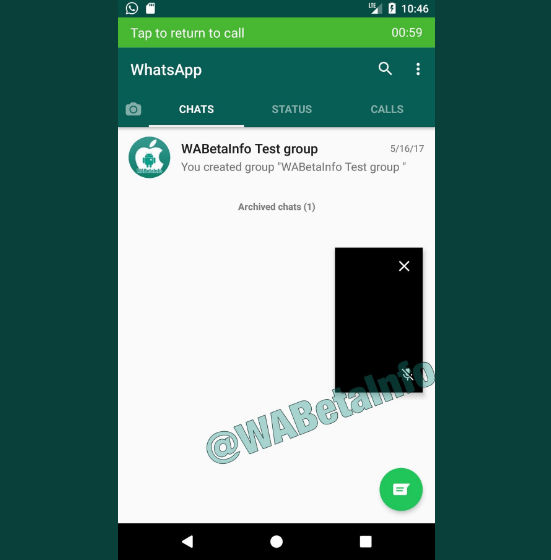 Less than a week ago the WABetaInfo portal noted that WhatsApp is compatible with Android O, the new operating system of Google and that would imply the arrival of new functions to the application of instant messaging. 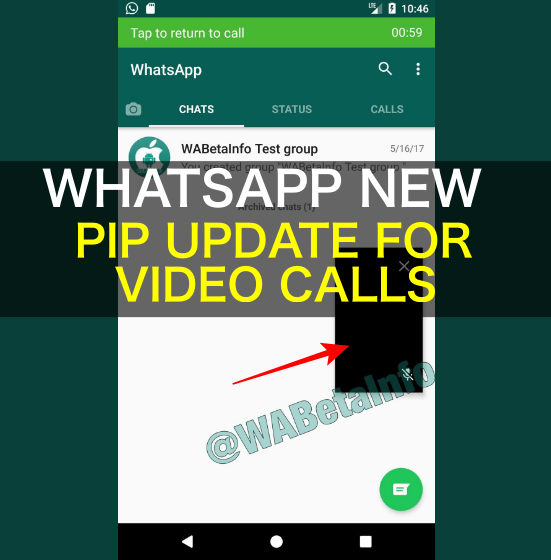 The first one is already here, and from now on you can use PiP mode in WhatsApp beta video calls. PiP mode is nothing but a picture in picture effect. Less than a week has passed since the announcement released and now it is available in WhatsApp beta for Android. The latest version of WhatsApp beta for Android (2.17.265) allows you to make video calls in a floating window as shown in the images below. You can browse the network, manage the terminal settings or view videos while the video call remains active above the application used. This floating window can be placed anywhere on the smartphone by clicking on it and dragging the clip to any part of the screen. This would be one of the first WhatsApp news since the app is compatible with Android 8, but hopefully, in the coming days, we see how many new features come to the app as we have been checking in the last few days. Without going any further, last week WhatsApp finally increased the limit for sending files through the application. Now you can send files of any type with a limitation of 100 MB for the Android application and 128 MB in the iOS app. To do this you simply have to do what you did until now to send any type of file through WhatsApp. Click the Attach button next to the text field in the application and select “Document”. In addition, recently the WhatsApp version for iOS added the function to fix favourite chats, being possible to fix 3 chats only but being compatible with WhatsApp Web. We have also discovered a new emojis manager that allows quick access to the most used emojis in the application. A search engine for these pictograms will also be enabled in the version of the application for iPhone. Awesome isn’t it? Have you all got these features to your Android and iOS devices? If you are facing any difficulties with your WhatsApp updates, let us know through the comment section below. We will get back to you to solve all your queries as soon as possible. If you are already using these new features in your WhatsApp instant messaging application, share your experiences on the same with our readers. You can see all the previous and upcoming WhatsApp updates here. Which WhatsApp update do you like most? Why?